In this tutorial you will learn how to configure Windows 7 IP settings with no difficulty. In any network, for a network device to communicate, they need to have a unique IP address. If two devices or more have the same IP, then they won't be able to communicate properly. 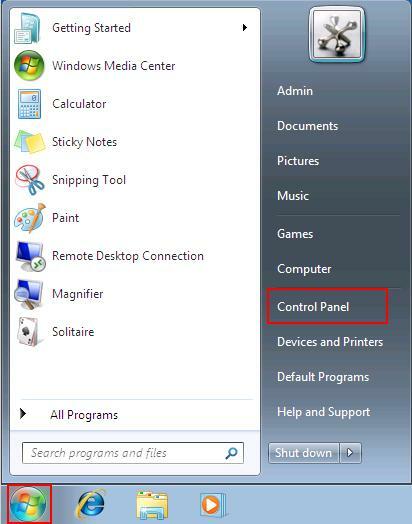 How to configure Windows 7 with a static IP? 1.) Click the "Start Icon" located on the bottom left corner of the taskbar. 2.) Click "View network status and tasks"
3.) 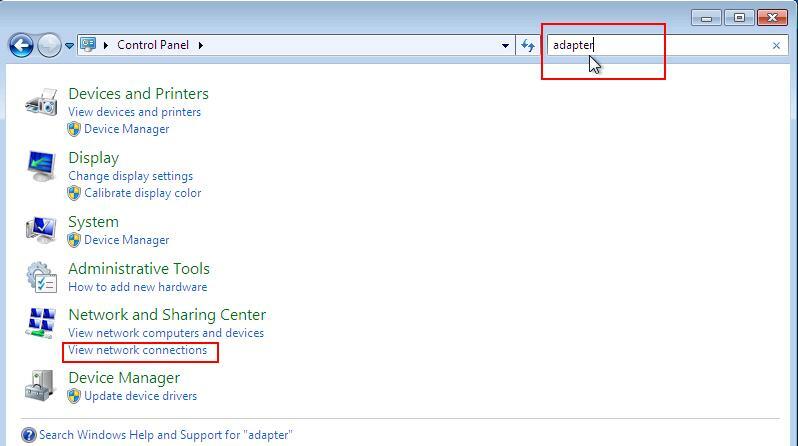 When the "Network and Sharing Center" window appears, click "Change adapter settings". 4.) The Network Connections window opens, right-click "Local Area Connection" and click "Properties". 5.) 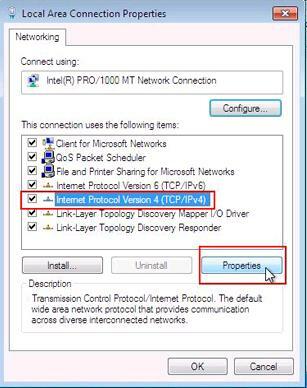 The Local Area Connection Properties window opens, click "Internet Protocol Version 4 (TCP/IPv4)" and click "Properties". You have now configured this machine with static Windows 7 IP settings. Test your default gateway by pinging it in the command prompt or going to a website. Your default gateway IP address is usually your local router. This can be your home Linksys router or any other router. 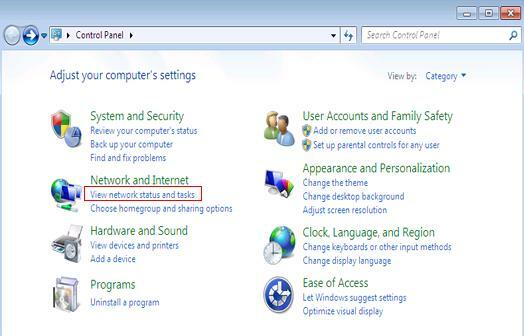 How to configure Windows 7 to "Obtain an IP address automatically"
This setting will usually be used for your workstations on your network. It is much easier to use a DHCP server which hands out IPs automatically without any extra effort from you. This is a life saver when you have more than 10 workstations in a given network. Luckily for us, your home router has the DHCP protocol. 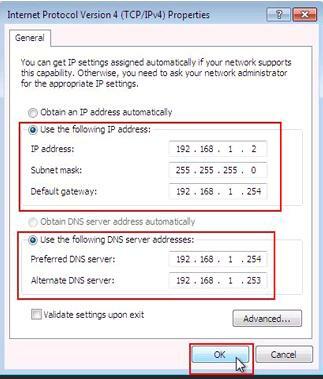 Click here to learn how to access your home router or modem to configure DHCP and IP settings for your network. 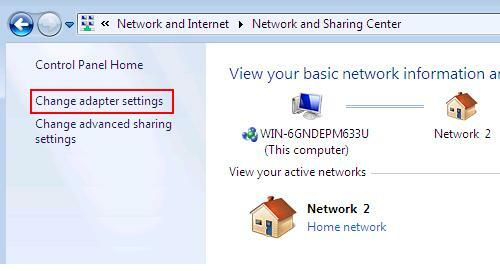 Lets configure Windows 7 IP Settings to Obtain an IP address automatically. I will show you a different and faster way to accomplish the same goal as we did earlier. In Windows operating systems you will soon realize that there are many different ways and shortcuts to accomplish the same result. 1.) Click "Start Icon" at the bottom left corner of the Task Bar. Click "Control Panel"
2.) In the Control Panel window you can type "adapter" in the search box to the right. 3.) Right-Click "Local Area Connection" and click "Properties"
4.) In the Local Area Connection Properties, click "Internet Protocol Version 4 (TCP/IPv4)". 5.) 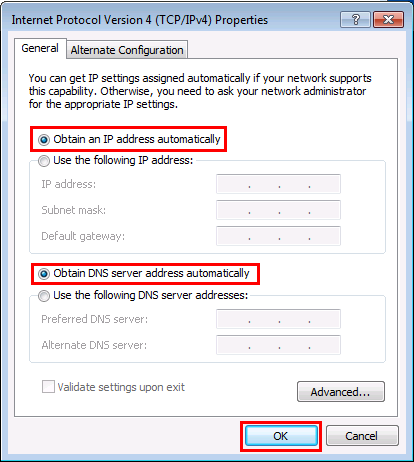 Ensure that both "Obtain an IP address automatically" and "Obtain DNS Server address automatically" are both selected to ensure when your computer connects to your home router, the DHCP server that runs on the router will automatically assign the IP address settings.